This is a tool tray that has molded profile pockets for specific tools. Each tool has its own place, and doesn’t slide or roll around when the tool drawer is opened and closed. This tray is designed to hold 2 sizes of needle nose pliers, a pair of wire cutters, an allen wrench set, and 2 small screwdrivers. 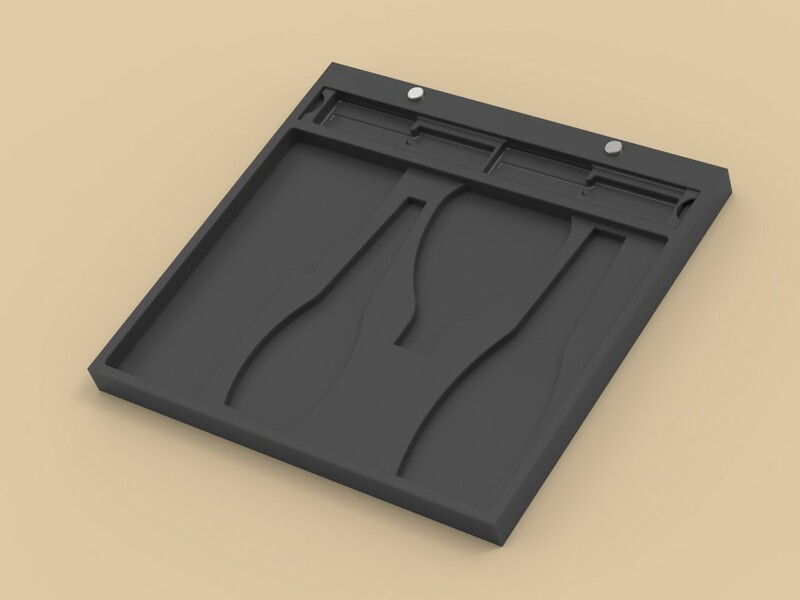 The screwdriver insert is removable, and can be replaced with a different insert that holds other types of tools, or can be left out if you just want a generic rectangular tray.